QlikView is a very popular data visualization tool that features in-memory calculations and is renown for its relative ease-of-use. However, like most business intelligence tools, QlikView is not designed for big data integration (or masking) prior to its presentation. 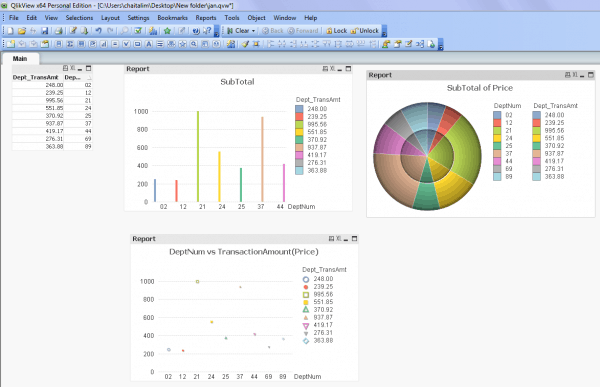 The SortCL program in the IRI CoSort product or IRI Voracity platform is a fast, simple, and inexpensive way to prepare big data for QlikView efficiently -- both in terms of job design and runtime performance. See this section to understand why. In a 2015 benchmark with only 20M records on an average PC, CoSort prepared the same data results for the QlikView visualization above 12 times faster than QlikView could. For details, klick here.